Hi there! Hannah here! 😀 I have a SUPER bright card for you today! 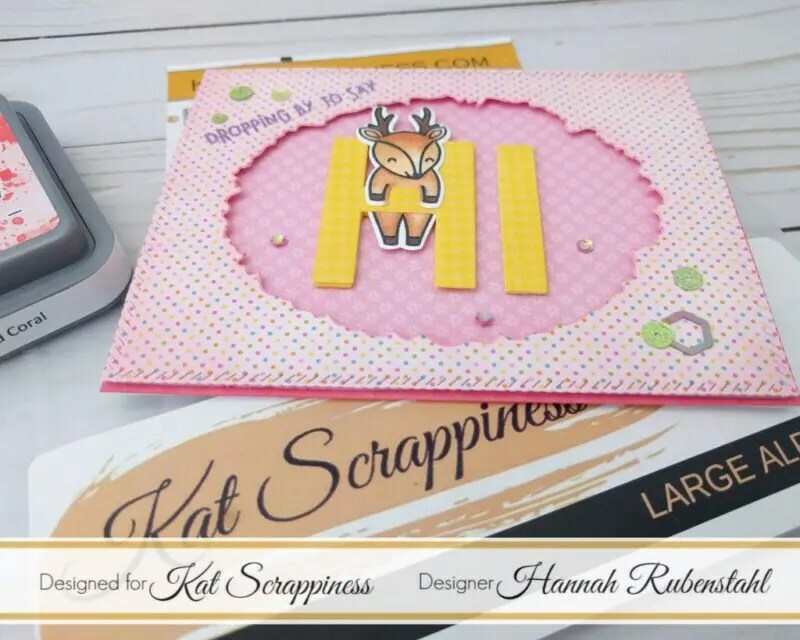 This card came about primarily because I wanted to use For You, Deer Stamp and Die set by Lawn Fawn. It came out just prior to Christmas and I didn’t want it to become one of those “one use” stamp sets that got used once and never gets used again. Also, Lawn Fawn has a similar set coming out and I really can’t wait to play with it, so this was partially me just messing with ideas that may or may not potentially work. The stamp set works PERFECTLY with the letters “H” and “I” in the Kat Scrappiness Large Alphabet Dies, with the partial sentiment of “Dropping By To Say.” All I needed to do was figure out how I was going to combine the two aspects. 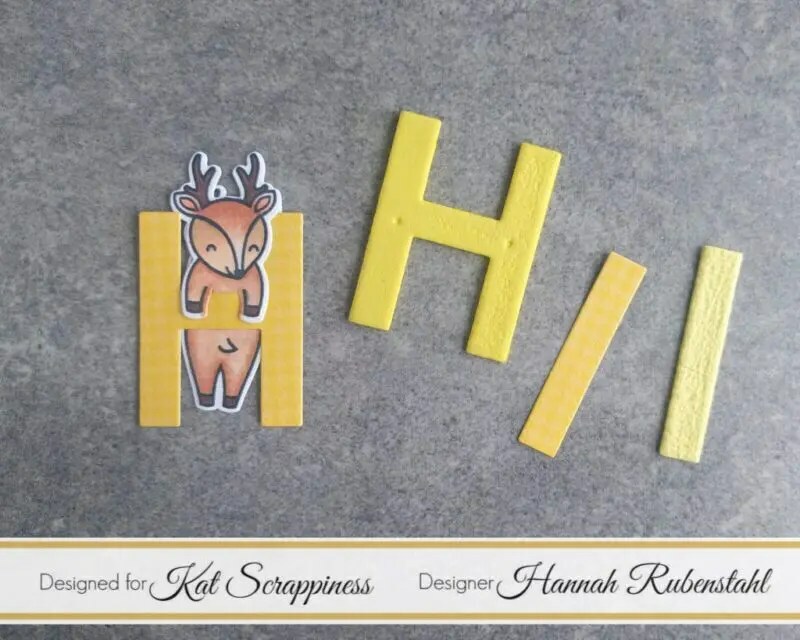 I decided that it would be super cute of one of the characters from the stamp set was hanging out in the letter “H.” The deer fit better than the bear, in my opinion, so I colored him in and adhered him to the letter “H” that I had cut out of some fun patterned paper from Doodlebug Designs that I had floating around my craft room. 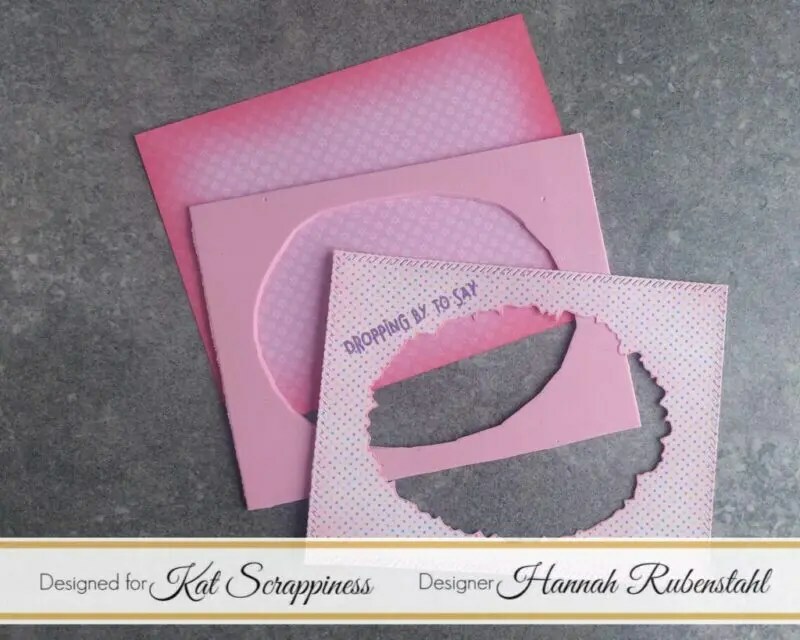 From that pad of paper, I selected two other sheets that I was going to use, the pink flower background was obvious that I was going to use as a background for the card. I wanted my little deer to feel as if he was frolicking in the flowers! I dusted the outside edges with some Distress Oxide so that any paper showing along the outside edge would look like it was receding. After die cutting an opening in the other piece of patterned paper using the NEW Distressed Edge Oval Dies I trimmed the panel down with the Stitched Rope Nested Rectangle Dies, also by Kat Scrappiness. The edges of this paper I also ran some Distress Oxide around as well, and because this paper was so bright, I ran some around the front, just to tone it down. Because I love dimension, I cut a piece of fun foam down to be just slightly smaller than this top piece of paper, I also die cut fun foam letters “H” and “I” too. Using more Distress Oxide, and some clear embossing powder, I embossed the sentiment “Dropping By To Say” in the corner of this panel. Then it was a matter of piecing everything together with my favorite adhesives and decorating with some sequins. For this I loved the Grandma’s Garden sequin pack from Kat Scrappiness, there are little tiny flowers in it, which I could insert some gems from the pack onto the inside. PERFECTION! 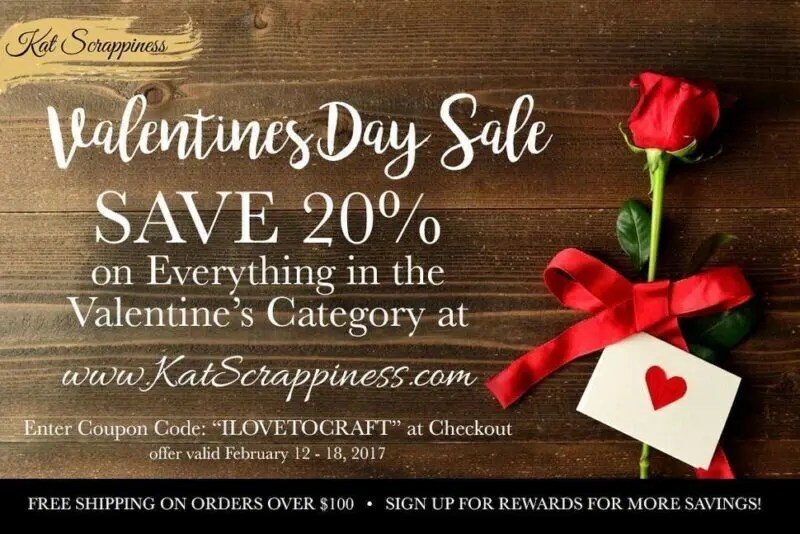 Oh, and don’t forget the sale going on at Kat Scrappiness!!! !